Caratz is the first transaction proxy & cryptocurrency exchange to enable cross-platform token transfers directly through social media. A few of the supported/to be supported platforms include Telegram, Twitch, Discord, Facebook Messenger, WhatsApp, and Wechat. With seamless decentralized exchange (DEX) integration, the Caratz platform can also be used to trade cryptocurrency pairs. Boasting a number of features including fully integrated escrow functionalities and platform support for over 20 languages, Caratz takes accessibility seriously. Caratz has a simple, digestible user interface that allow users to adopt cryptocurrency without technical blockchain knowledge. Unlike many other projects, we don’t just conduct a Tokensale to raise money and then think about how to build the product. We already have a working prototype, which we will open to customers for alpha testing during the Tokensale. • The bounty will be managed by "CryptoMaze" and you may contact their admins via our telegram group. • You are offered stakes which you will get from the work you carry out and these will be converted for the CARATZ tokens at the end of the campaign. • This campaign will last until the end of CARATZ Tokensale (early June or before if the Tokensale is hits the hardcap). We have allocated a total sum of 10 million CARATZ (CRTZ) for the bounty program where 1 CRTZ = 10 cents. • Signature/Twitter/Facebook/Instagram bounty campaigns’ stakes will be updated every week, by following Monday. • Telegram Bounty campaign’s stakes will be updated after the end of the ICO. Interim Audits will be done to validate that the participant adheres to the rules throughout the period leading upto the ICO from the date of registration. Any violations will be disqualified accordingly. • Using multi-accounts, cheating and spamming are not allowed. It will results getting all of your accounts permanently banned from the CARATZ campaign. We have allocated 25% of the total bounty allocation for the signature campaign. We have identified that signatures are an important way of propagating our brand among community. • Wearing the CARATZ Avatar: 10 additional stakes per week. • First you must register that you’re willing to do the signature bounty. The process for registration is shown below. • Out of 10, 4 posts must be pertinent to CARATZ Project while the rest of the posts have to be meaningful to cryptocurrencies. Off-topic, spam, other bounty related posts and meaningless posts will not be counted towards the final tally. • By wearing the CARATZ avatar, you will be getting 10 additional stakes every week. We will be monitoring all the activities in the CARATZ bounty and main threads. • Using multiple account is prohibited. This will result a permanent ban from all CARATZ bounty programs. • In case of a decision made by you to leave CARATZ for another campaign, please emphasize it in the thread or via telegram so that our admins will check whether you are worthy of getting current week’s stakes. (If you posted 10 constructive posts). Unless we won't distribute your current week stakes. .Caratz 🥕 | Cross-Platform Wallet & Exchange.
. Caratz 🥕 | Cross-Platform Wallet & Exchange. We have allocated 15% of the total bounty allocation for the twitter campaign. We believe your twitter profile can help us reach our goals. • First you must register that you’re willing to do the Twitter bounty. The process for registration is shown below. • Twitter accounts must consist with at least 200 followers in order to participate the twitter campaign and the twitter audit should show more than 90% real followers count. Accounts which do not comply these rules, will be removed from the registration list. Twitter audit should be within 2 weeks old. • Using multiple accounts and bot accounts will result an instant ban from all the CARATZ related bounty campaigns. • We reserve the right to not consider anyone’s twitter account eligible for this campaign, even if the prerequisites are met and to delete whatever stakes offered if we decide to terminate the registration. • You must post your reports on Tuesday before 23.59:59 GMT on weekly basis. ➢ THE PROCESS OF JOINING THE TWITTER CAMPAIGN? • Fill out CARATZ TWITTER BOUNTY APPLICATION FORM below. We have allocated 15% of the total bounty allocation for the Facebook campaign. We think your facebook profile can be key to our success. • First you must register that you’re willing to do the Facebook bounty. The process for registration is shown below. • We will count the likes and shares of posts which are more than two weeks old. • We reserve the right to not consider anyone’s facebook account eligible for this campaign, even if the prerequisites are met and to delete whatever stakes offered if we decide to terminate the registration. • Fill out CARATZ FACEBOOK BOUNTY APPLICATION FORM. • Like, Share our Facebook posts with a small persuasive message of your choice with hashtags #CARATZ #TokenSale #ICO #bitcoin #ethereum #crypto #cryptocurrency at least 4 times a week, but no more than one such post a day. Ineligible posts will be removed from total tally. We will be selecting a day’s best informative question and the winner will get 2 stakes. Admin team has the rights to decide the winner. • First you must register that you’re willing to do the Telegram bounty. The process for registration is shown below. • Telegram campaign stakes will be updated after the ICO conclusion. It will not be counted on weekly basis. • CARATZ admin team is having the full right to choose the active members in the telegram group before/during the ICO. • You need to keep the avatar and the CARATZ.io till the ICO ends in order to get the full stakes. We will be doing periodic audits on this after the date of joining and any violations will be disqualified from the campaign and stakes will be deleted. • First and foremost, join our official CARATZ telegram Channel and official CARATZ telegram group. • Caratz love for you to be an active member. Try to be as active as possible in the main chat by asking questions, helping new members, sharing information about CARATZ you already know and etc. The daily best question selected by the group admins get 2 stakes per day. • Fill out CARATZ TELEGRAM BOUNTY APPLICATION FORM. 15% of total bounty pool reserved for all valid translators and community managers. 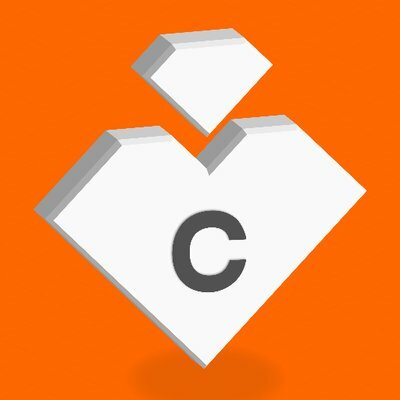 Translate CARATZ's ANN thread, Whitepaper and Manage local community/thread and get your Reward. To reserve a language please share your interest with some of your previous translation work by filling the form below. The stake allocation for each task and the relevant submission forms will be notified along with the super bounty. Usually these will be comparatively higher than normal stakes. Spot bounty spreadsheet can be found here. Content writing and video reviews are extremely important in promoting the ICO. We will be allocating stakes to good articles and videos with wider reach. We will be taking the final decision on stake allocation considering the quality of the work. We have allocated 5% of our bounty for Instagram account holders. We think your instagram profile can be a key to our success. • First you must register that you’re willing to do the Instagram bounty. The process for registration is shown below. • Your Instagram account must be made public and really own by you. • Instagram campaign stakes will be distributed on weekly basis. • We reserve the right to change the rules of Instagram bounty if it deemed necessary. • Anyone can participate the Instagram campaign regardless of the bitcointalk rank. • We reserve the right to not consider anyone’s Instagram account eligible for this campaign, even if the prerequisites are met and to delete whatever stakes offered if we decide to terminate the registration. • No stakes will be allocating if all Instagram posts were not shared. Disclaimer: I'm not associated nor will manage this bounty campaign, please contact the official caratz account, I'm in no way affiliated with this project, I'm just getting paid to make the post due to their new account limitations.